This is a repost of an old blog from my previous website. I’ll repost it here as I have lost access to editing site. The main point of interest is the top three riders. Who would have predicted the top three would go on to win the Tour de France. 4th Michael Hutchinson was commentating on tv today. It wasn’t my best race, the only thing I remember was Geraint Thomas talking to me after the race. Seemed a nice chap. Very happy for Geraint Thomas to win the 2018 Tour de France. A very well deserved victory. Hope he gets lots of cheers on the Champs Elysees! 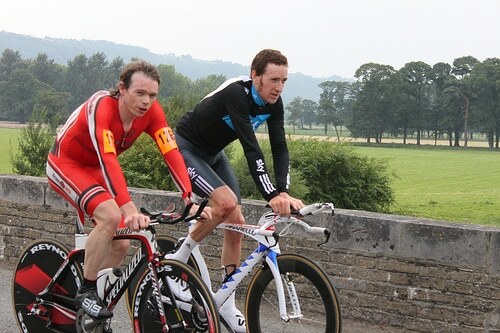 Michael Hutchinson and Bradley Wiggins chat, just after the finish. 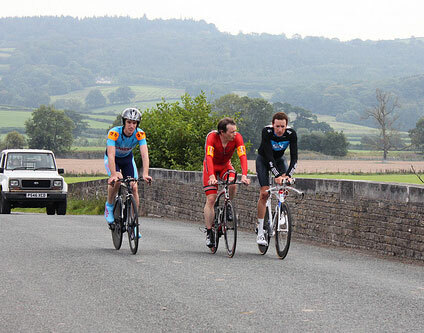 Yesterday was the 2010 British Time Trial Championships in Llandeilo, Wales. Apart from closing roads to traffic, it was as close as you can get to a real pro race. The course was testing, for the senior men 52km. For the Masters, Women and juniors – 32km. The women’s race was won by Emma Pooley, just ahead of Julia Shaw and Wendy Houvenaghel. In the Men’s race, Bradley Wiggins was the clear winner averaging a phenomenal 30mph for the 52 km. He led in a Sky One, Two, Three, with top domestic rider Michael Hutchinson just edged out of the podium place. In the Senior Men category, I was 24th place in a time of 1:14:24 (26.2mph). At one point Chris Froome (Sky) came flying past me. I was doing 33mph, so he must have been really going fast. There was a short climb through the village of Llandeilo, which was a great buzz as a large crowd were there to cheer on the riders. After finishing, I took my camera and nipped back to the finish to take a couple of photos of the top riders who went off last. 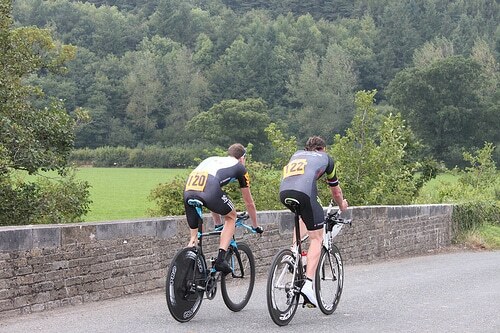 I ended up riding back to HQ with Geraint Thomas, who finished 3rd. He seemed a very nice, modest guy, quite at ease talking about cycling. I forgot for a few minutes, this was the guy who at one stage was second in this years Tour. I’m sure he has a great career ahead of him, I’d like to see him do well. Funny, next week he has the Tour of Britain, I have the start of the school term. Later in the year, he has the Commonwealth Games, I will have a few hill climbs. But, it’s a great sport when you can race in the same event as the best athletes in the sport. After getting back from New York, I felt somewhat demotivated from racing. On Saturday, I did my slowest 10 of the year (21:44). I toyed with not starting the BTTC championships, but, glad I made the long trek down to south Wales, a very well organised event and it was good to take part.